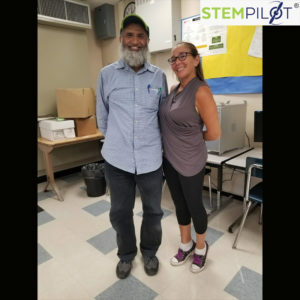 Principal Sunshine Sepulveda-Klus greeted her new Edustation Flight Simulator at the Will Rogers High School. 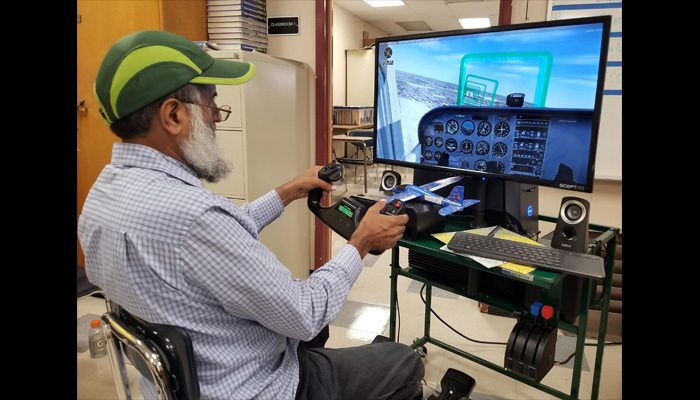 Mr. Khan will teach their program and is now learning the math, science and physics of aviation. We are looking forward to working with his new program Flying Students into Great Careers.